Sunday 30th October- participating in the We17 Community Cohesion Women's Dinner in support of the Forest Nightshelter. 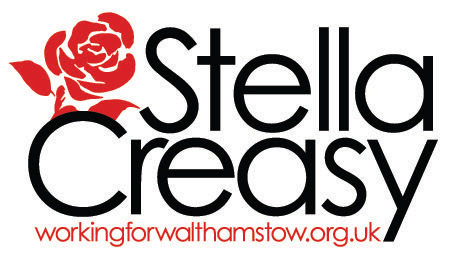 Tuesday 1st November- supporting Walthamstow Labour Party Secretary Phil Creasy and Waltham Forest Coop Chair Andy Dixon as they give evidence to the Boundary Commission about the importance of keeping the Walthamstow constituency together and meeting the National Audit Office to discuss my concerns about PFI. Thursday 3rd November- attending the Waltham Forest Coop Fundraiser with special guest Chuka Umunna MP which is to help support the campaigning work the Cooperative party is doing on refugees and housing in Walthamstow. All local residents welcome- to buy tickets see the link below. Waltham Forest Coop Fundraiser: The keynote speaker at this event will be Former Shadow Business Secretary Chuka Ummuna MP and ticket prices include a three course indian meal. or ringing or texting the campaign's office 07957228019.